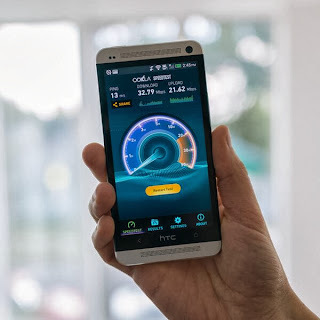 The best Android network speed test App has been updated and is available in a new avatar. The Ookla 3.0 is the ultimate speed test bench marker for users and publishers alike. The new Ookla gives you new visuals and you can also view the results on a map thus giving you a correct idea about the map points which you give best speed and which give worst. Other than that Ookla now scales properly on tablets and high resolution devices. However the publisher has removed the landscape view mode for some reason. Other than above two changes the App remains the same. You get the best speed result with Ookla and can export your result via a .CSV file or share them directly using the Android's share menu. Ookla is available without ads also but you have pay $0.99 (Rs.60.00) through a in-App purchase to get that. The free version for your Android smart phones and tablets can be downloaded from Google Play now.